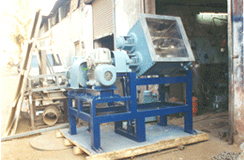 This machine comprises of a double 'U' shaped container welded and machined together inside which rotates two 'Z' shaped sigma blades in opposite directions. The clearances between the walls and the container are kept to a minimum to ensure maximum effciency in kneading and mixing. The shafts of the sigma blades are fitted in bearing blocks which are each provided with roller bearings, steel glands / teflon rubber seals for smooth and leakless operations. 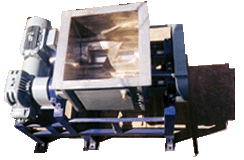 The kneader is mounted on a sturdy base frame fabricated out of ISMC sections and are free from vibrations. For cooling and heating jackets are provided.